This Rackham guy was a real joy to paint... big and brutal Son of Ogimos. He is angry because Ogimos himself gave him house detention... Ogimos got to learn that this is not a good idea doing this to his sons... or maybe he got other problems, who knows, maybe a small ... nope i won't speak further - hope you like him! 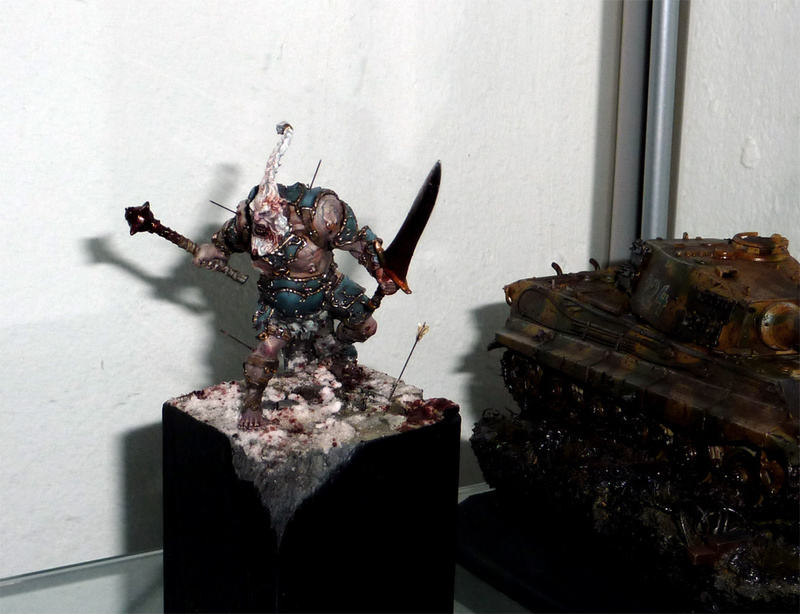 Here you can find a tutorial on how i have individualized the socket with fire and here you can find some thoughts about my work order and the use of zenithal light on a miniature - i hope you enjoy! Was the blood done with Tamiya Clear Effects Red, or was it done in some other way? Oh yes... I... I... had to add GORE!!! Looks amazing, as always, although I would have gone for a more reddish face for emphazising the rage. This one turned out really cool - so very different from how I started painting mine.